What Does the P0300 Code Mean? The P0300 Trouble Code indicates that one or more engine cylinder is misfiring. If the last digit of the trouble code is not zero, for example, the code generated is P0302, the number 2 suggests that the cylinder number 2 is misfiring. The engine cylinder misfire causes the engine speed to fluctuate. If this fluctuation increases, it affects the crankshaft position sensor and the engine control module (ECM) can detect that one of the cylinders just misfired. Engine misfire occurs due to an incomplete combustion process inside the cylinder. When the situation worsens, the engine jerks more often and the performance drops considerably. This misfiring triggers the P0300 trouble code. How to Diagnose the P0300 Code? A professional mechanic or technician will follow these steps to diagnose issues related to the P0300 code. You can perform these steps at home by yourself as well. A car battery charger is extremely important when diagnosing the P0300 code. Since the diagnosis requires that you keep the engine running, this can cause the battery to drain and as a result, additional trouble codes will generate making the problem more complex. A car battery charger will ensure that your battery charge stays at its optimal level. An OBD2 scanner is required to scan and diagnose the P0300 trouble code. With the OBD2 scanner, you can monitor and report trouble code related issues and fix them easily as well. For vehicles launched before 1996, an OBD1 scanner is used while every vehicle developed after 1996 makes use of the OBD2 scanner. There are two types of OBD2 scanner, the first type is a regular code reader while the other one is an advanced scanner. The reader only reads basic codes and has simpler functions while the scanner can read enhanced codes and OEM codes as well. Before replacing any component, first ensure that all the wiring and connection is proper. Visually inspect the wiring and see for any signs of corrosion and fix it right away. If you have replaced the spark plugs and the problem still exists, check the fuel injector system for defects. If you have an old vehicle, check the distributor cap and the rotor button system for damage. If more than one trouble code is observed by the OBD2 scanner, take necessary steps to diagnose and repair them. After that take your car for a drive and test if the P0300 trouble code returns. If you have followed all the steps mentioned above and the trouble code still exists, there is a possibility that the problem is with the PCM. The PCM may require reprogramming or replacement if it has gone bad. How to Replace the Spark Plug? Replacing the spark plug is an easy task and you can perform the replacement procedure at home as well. Before replacing the spark plugs, make sure that the vehicle’s temperature is cool and was not driven recently as the components can get extremely hot. Open the hood and you will notice a few wires leading to a different location in the engine bay. The spark plugs are positioned at the engine end of these wires. Start by pulling the wire plug and at the bottom, you will see the spark plug installed. Make sure you do not apply too much pressure on the plug. Insert the socket wrench inside and gently rotate to loosen the spark plug. 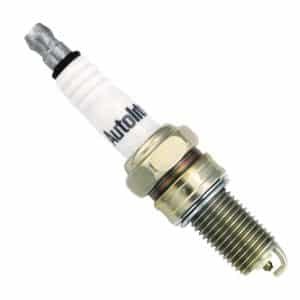 Remove the old spark plug and notice its condition. Using the socket wrench, install the new spark plug and tighten it properly. Then install the wire plug like before and you are good to go. The average cost to replace the spark plug comes between $110 and $300. The part itself cost between $50 and $90, while the labor cost is estimated between $60 and $200. Should I Repair the P0300 Trouble Code Right Away? If you have any further questions related to the P0300 trouble code or if the above solutions did not solve your problem, comment below and our trained mechanic will assist you ASAP.